Seoul, South Korea – March 13, 2019 – Hdac Technology, a blockchain technology company, founded by Hyundai BS&C CEO Dae Sun Chung in October 2017, held a press conference on March 13 at Grand InterContinental Seoul Parnas, to present future business strategy and technology development roadmap. Hdac Technology is a tech company under blockchain project ‘Hdac.’ Hdac is a hybrid blockchain platform integrating public and private blockchains and is designed as enterprise architecture to process diverse needs in the industry. Hdac Technology announced its plan to complete the development of SDK and API in the first quarter to build an enterprise solution developing environment and the framework. Especially, Hdac will use the DevOps approach to enable fast and easy development, establishment, test, and distribution of Hdac-based blockchain infrastructure. “Hdac Enterprise Blockchain Solution can be applied to various fields including construction, real estate, manufacturing, finance, and retail. We have completed two PoC(Proof-of-Concept) projects so far besides HERIOT, a blockchain-IoT converged smart home solution that we have already launched, and expect to win more than four actual projects during the first half of the year,” he explained. Hdac Technology’s FinTech business is driven under the initiative of HYUNDAI PAY, aiming to provide convenient daily cryptocurrency payment services. HYUNDAI PAY is a Korean corporation that has Hdac Technology CEO Michael Yoon and CTO Moon-Ok Cho as the CEO and the CSO respectively. The core of the FinTech business is Prepaid Point Payment Service. With the service, customers can purchase prepaid e-money called ‘H Point’(tentative) with ‘Hdac Coin’ and use it for transfer, electronic payment at online/offline franchise store, QR-code payment at a retail store, and utility bill payment on smart home service. CTO Moon-Ok Cho’s further plan is to evolve ‘H Point’ into a stablecoin in the future. Real Estate P2P Service carefully selects investment-worthy real assets and provide the investors with profits. In particular, it aims to provide a blockchain-based P2P platform that links with the Prepaid Point Service enabling convenient real asset management and reinvestment to various forms of assets. It plans to expand the service into a total P2P Finance Service by broadening the spectrum of assets to cryptocurrency and etc. In regards to public blockchain sector, the development of Bridge Node that connects Hdac MainNet and a DApp partner’s mainnet has been completed. It will be released by the end of March at earliest after internal integration test and verification. 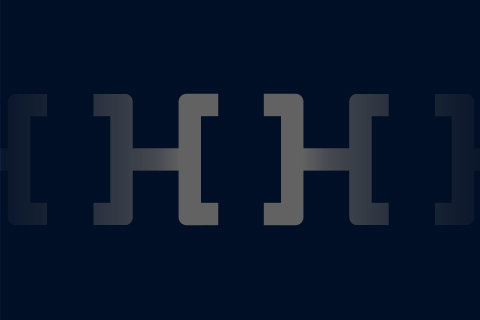 ‘Hdac Contract’ based on the Bridge Node is designed with a focus to provide a DApp service that can issue tokens and be applied to diverse industrial environments. 2019년 3월 13일, 서울 – 현대BS&C 정대선 사장이 설립한 블록체인 기술 기업 에이치닥테크놀로지(Hdac Technology)가 13일 오전 서울 강남구 테헤란로 그랜드 인터컨티넨탈 호텔에서 기자간담회를 열고 향후 사업 전략과 기술 개발 로드맵을 발표했다. 2017년 10월 설립된 블록체인 전문 기업 에이치닥테크놀로지는 하이브리드 블록체인 프로젝트인 ‘에이치닥(Hdac)’의 기술 회사다. 에이치닥은 퍼블릭과 프라이빗 블록체인을 통합하는 하이브리드 블록체인 플랫폼으로서, 다양한 산업 분야의 요구를 반영할 수 있는 엔터프라이즈 아키텍처로 설계됐다. 에이치닥테크놀로지는 2019년 1분기 중 SDK(Software Development Kit)와 API(Application Program Interface) 개발을 완료해 엔터프라이즈 솔루션 개발 환경을 구축하고 프레임워크를 확보할 계획이라고 밝혔다. 특히 데브옵스(DevOps)를 지향함으로써 에이치닥 기반 블록체인 인프라를 신속하고 간편한 개발, 구축, 테스트, 배포할 수 있게 지원할 예정이다. 조문옥 에이치닥테크놀로지 CTO는 “블록체인 전문 기업이 아니더라도 쉽고 편리하게 블록체인을 기반으로 한 인프라와 서비스를 구축하고 운영할 수 있는 BaaS(Blockchain-as-a-Service) 솔루션을 제공하는 것이 목표”라며 “기업 고객에게 최상의 엔터프라이즈 블록체인 서비스를 제공하고 글로벌 시장 경쟁력을 확보하기 위해 세계적 클라우드 사업자와 제휴를 검토 중에 있다”고 말했다. 조문옥 CTO는 “에이치닥 엔터프라이즈 블록체인 솔루션은 ▲건설ㆍ부동산(스마트홈, 부동산 P2P 거래) ▲제조(전자계약/구매, 공정이상감지, 생산이력관리) ▲금융ㆍ유통(멤버십포인트, 선불카드) 등 다양한 분야에 걸쳐 적용이 가능하다”며 “이미 공개된 블록체인-IoT 융합 스마트홈 솔루션 헤리엇(HERIOT) 외에 현재까지 2건의 POC(Proof Of Concept)를 마쳤으며 상반기 중 4건 이상의 본사업을 수주할 수 있을 것으로 예상한다”고 밝혔다. 에이치닥테크놀로지의 핀테크 사업은 현대페이(HYUNDAI PAY) 브랜드를 주축으로 추진되며, 일상 생활에서 편리하게 암호화폐를 사용할 수 있는 페이먼트 서비스 제공을 기본 골자로 한다. 스위스 크립토밸리에서 설립한 에이치닥테크놀로지와 달리 현대페이는 국내 법인이며 에이치닥테크놀로지 윤부영 대표와 조문옥 CTO가 각기 현대페이 대표와 CSO를 겸임하고 있다. 핵심이 되는 선불 포인트 결제 서비스는 ‘에이치닥 코인’으로 구매 가능한 선불 포인트인 ‘H 포인트(가칭)’를 발급해 ▲간편송금(포인트–포인트 송금, 포인트–원화 송금, 현금/암호화폐 충전) ▲온/오프라인 가맹점 결제(온라인 쇼핑몰 등에서 상품ㆍ서비스 구매) ▲스마트홈 서비스(관리비 납부, 주변 상권 오프라인 결제) ▲간편결제(리테일 매장 내 QR코드 결제) 등에 사용할 수 있는 서비스다. 조문옥 CTO는 “‘H 포인트’를 향후 스테이블 코인으로 진화시킬 계획”이라고 밝혔다. 부동산 P2P(Peer-To-Peer) 서비스는 부동산과 같은 실물 자산 상품을 선별해 투자자에게 수익을 제공하는 서비스로 투자상품안내, 상품평가, 사업자 신용평가, 교육ㆍ컨설팅 등의 서비스로 구성된다. 특히 선불 포인트 서비스와 연계해 손쉽게 실물 자산을 관리하고 다양한 형태의 자산으로 재투자까지 할 수 있게 해주는 블록체인 기반 P2P 플랫폼을 제공할 계획이며, 향후 부동산 외에 암호화폐 등 다양한 자산을 기반으로 한 P2P 금융 서비스로 확대한다는 방침이라고 설명했다. 월렛 서비스는 기존 에이치닥 월렛을 엔드유저와 사업파트너 모두를 위한 핀테크 서비스 플랫폼으로 고도화하여 멀티체인 지갑, 간편송금, 간편결제, 포인트충전 기능을 제공하고 나아가 선불 포인트 결제 서비스 및 부동산 P2P 서비스를 지원하는 포탈형 서비스 형태로 진행된다. 조문옥 CTO는 “선불 포인트 결제 서비스, 부동산 P2P 서비스, 월렛 서비스 모두 연내 론칭을 목표로 사업 추진 중이다”라고 밝혔다. 퍼블릭 블록체인 영역에서는 에이치닥 메인넷과 DApp 파트너 메인넷을 연결해 주는 브릿지노드(Bridge Node)의 개발을 마쳤으며, 내부 통합 테스트와 검증 작업을 완료해 이르면 3월 말까지 시장에 공개할 예정이다. 이를 기반으로 한 ‘에이치닥 컨트랙트(Hdac Contract)’는 토큰 발행과 다양한 산업 환경에 적용 가능한 DApp 서비스의 제공에 중점을 두어 설계됐으며, 독립(Standalone) 구조를 통해 보다 강화된 네트워크 성능과 보안성을 제공한다. 브릿지노드는 메인넷 코어와 DApp 파트너 메인넷의 사이드체인 코어를 연결해 컨트랙트를 다루는 레이어를 추가하는 방식으로, 개인을 식별하는 프라이빗키(Private Key)를 포함하고 있어 에이치닥 블록체인 상에서 발생하는 컨트랙트의 소유주를 메인넷에서 명확하게 파악할 수 있다. 이는 컨트랙트의 감사 추적을 가능하게 하여 신뢰성과 확장성을 확보할 수 있게 한다. 에이치닥테크놀로지 윤부영 대표는 “에이치닥 플랫폼은 트랜잭션 보안과 에스크로를 위한 멀티 시그니처(Multi Signature), ASM(Advanced Security Module)을 통한 노드의 관리자 권한 보호, 양자난수 기반 보안 시스템 구축 기능도 지원한다”며 “사물인터넷(IoT), 인공지능(AI), 빅데이터, 핀테크 기술과의 결합을 통해 4차 산업혁명 시대에 고객이 필요로 하는 다양한 블록체인 니즈를 모두 제공할 것”이라고 말했다. 윤부영 대표는 “또한, 기존 에이치닥의 ePoW 알고리즘을 새로운 시대에 적합한 신규 블록체인 프로토콜로 진화시키기 위한 연구 개발에 착수했으며, 이를 위해 글로벌 유수 블록체인 개발팀과의 협력 방안을 모색 중에 있다”고 덧붙였다.